A famous singer/actress has accused a serial killer of killing 400,000 women a year. This celebrity is also pointing fingers at an insidious accomplice for playing a large role in the murders. Can you guess which actress, which killer, and which accomplice? It’s Barbra Streisand, and she has just unveiled her new campaign, Fight The Ladykiller, to bring down heart disease, the No. 1 killer of women. In an article on WebMD, Streisand, who is an indefatigable philanthropist, explained why heart disease struck a chord with her: “When I discovered that gender inequality still exists in the medical sciences when it comes to research and treatment of heart disease, I was stunned. Given that heart disease is the No. 1 killer of women in our country, more than all cancers combined, I knew I had to get involved to make a difference,” she wrote. Women’s treatment has been largely based on medical research on men. A woman’s heart is biologically different from a man’s. Women’s symptoms of heart disease can be more subtle than men’s. Men typically have chest pain spreading down through an arm — unless a woman presents with chest pain, it's rare that she'll receive life-saving treatment. In an interview with Katie Couric, Streisand talked about the Yentl syndrome, the idea that women would receive better treatment if their symptoms looked like those of men’s. Because womens’ health histories simply present differently from men, and because all the research has been based on men, women receive the short end of the stick when it comes to proper and prompt treatment. And for those of you movie fans out there, remember in the early 1980s Streisand starred in the movie Yentl? It's about a woman who passed as a man — quite serendipitous given her later interest in heart disease. As a former public health educator, I am skeptical of fear-based campaigns. Remember those billboards and commercials of a woman with smoke coming out of a hole in her throat? I think the message was clear: smoking is unhealthy. However, that billboard did not give smokers the tools to help them quit. When I worked at the University of Washington running a peer health education program, our message was not, “Don’t drink and drive” but, “If you are going to drink, here is what you need to know.” It’s a no-brainer: College students will take risks. So, a positive, strength-based approach was the better way to go. The key is to give them the tools to be responsible and safe, especially when they see their friends engaging in unhealthy behaviors. So when I learned about Streisand’s campaign and looked at the materials, at first glance, they looked a bit scary, almost spooky, including this video. But it did capture my attention, so I dug in deeper. 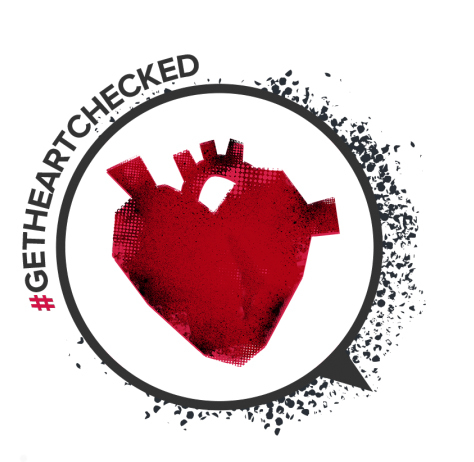 I looked at the campaign website and was actually impressed with its strong, positive message: Advocate for Yourself and #GetHeartChecked. The seriousness of the issue and the sheer, overwhelming numbers of women who are being killed made me sit up a bit and take notice. It was clear to me that this campaign was a result of thorough research and collaboration between teams of people working on this issue. And clearly, Streisand, as a person of fame, is in a position of power when it comes to bringing attention to this neglected issue. The Streisand Foundation and the Barbra Streisand Heart Center at Cedars Sinai Hospital are important avenues for creating greater awareness of heart disease as a killer of women, and the contribution of gender inequality to that lack of awareness. What can you do to help Barbara in the fight against a ladykiller? Read this informative infographic which outlines the steps to getting a woman’s heart checked. Hardly invasive, it helps you advocate for the best care you can get. Visit your doctor and #GetHeartChecked. Pay attention to the symptoms. Women can have pain or pressure in the center of the chest, pain in the jaw, back, stomach, or one or both arms, indigestion, nausea or shortness of breath, breaking out in a cold sweat, or extreme fatigue. Know your risk. Using this checklist can help you stay proactive about decreasing your risk for heart disease. Be aware of misinformation and myths there are about heart disease including the signs and what foods or supplements can help prevent it. Tell your friends that heart disease is the leading cause of death in women and that they should #GetHeartChecked, too.